Palm Coast and the Flagler Beaches is a haven for foodies, with many diverse restaurants serving delicious and unique fare. 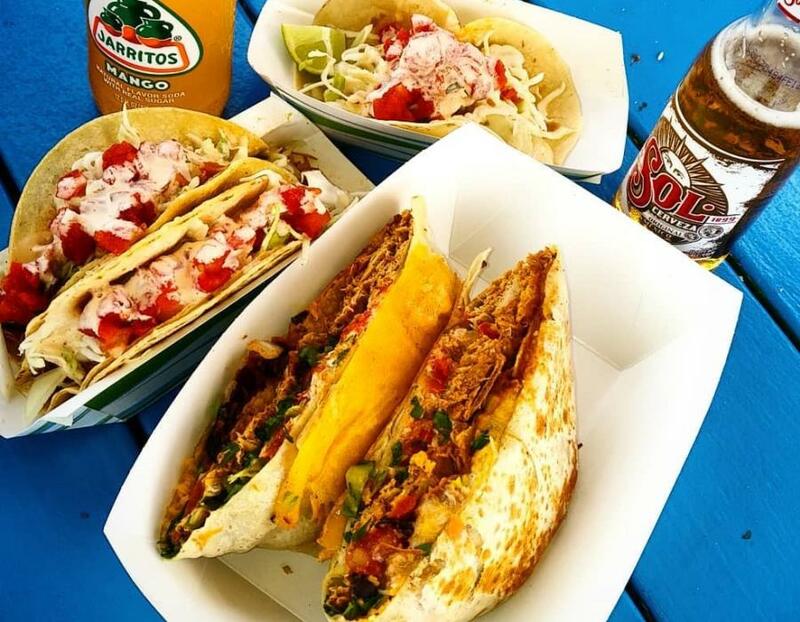 If you’re craving tacos during your beach visit, you’ll find the best right here. 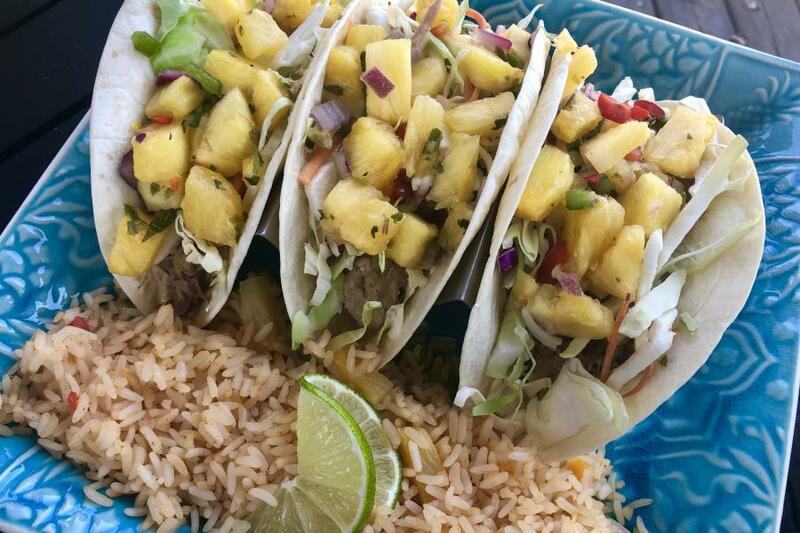 Whether you want them traditional or tropical, spicy or savory, served with stunning ocean vistas or paired with a delicious margarita, you’ll get your taco fix in when you visit Flagler. A cup of the area’s finest coffee and views of the sun rising over the ocean are what brings visitors and locals to Java Joint, but it’s the scallop tacos that keeps them here through lunch. The scallops are grilled or blackened, served on soft tacos and topped with coleslaw, diced tomatoes, cheese, sour cream and salsa. 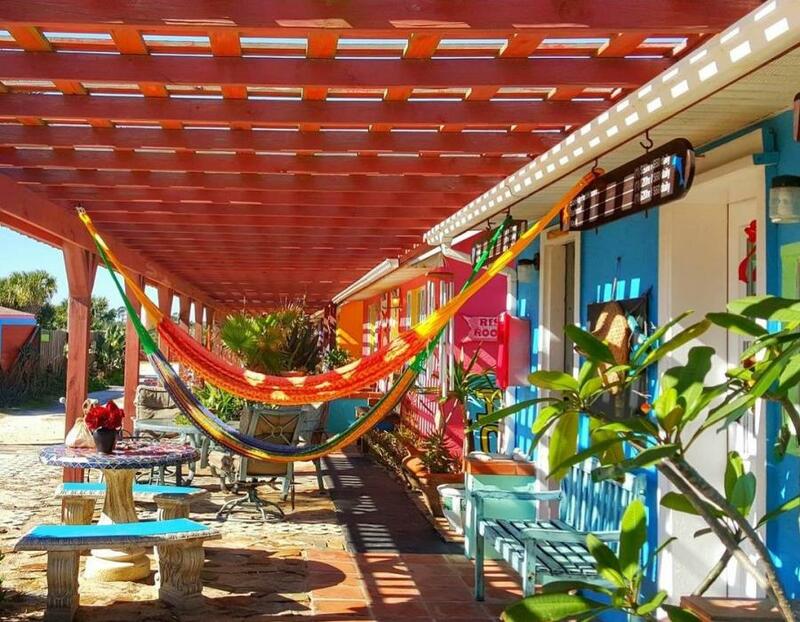 Across from the beach, you’ll find the bright turquoise blue Turtle Shack. 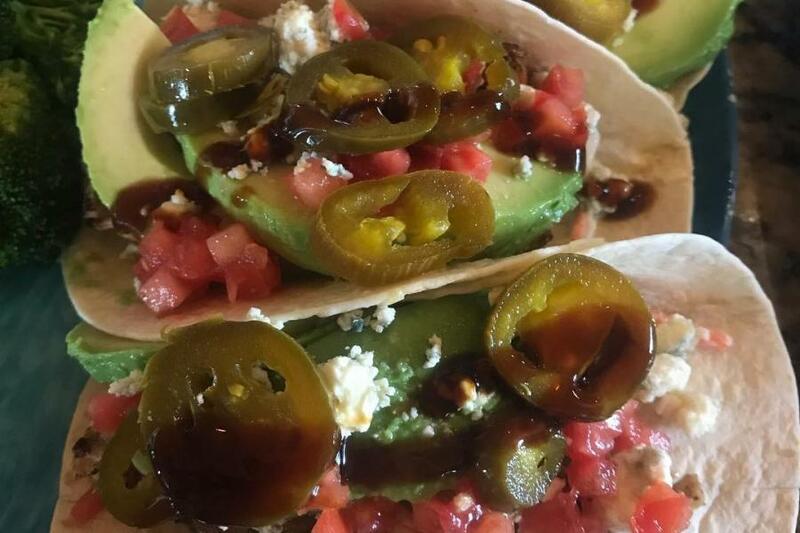 The cozy family-run eatery serves mahi-mahi tacos with the right amount of heat. The blackened mahi-mahi comes with crispy lettuce, fresh tomatoes and cheese. 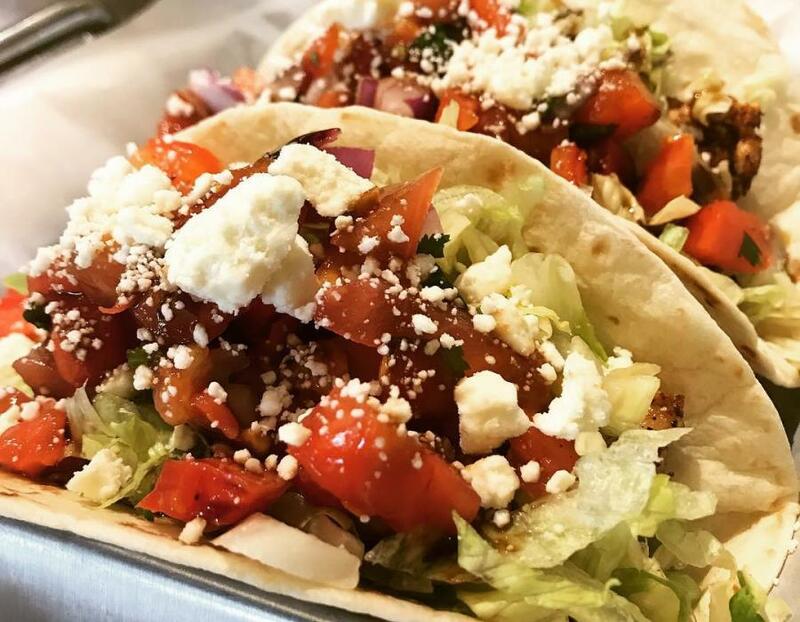 You’ll love that the meal comes with three tacos since you’ll definitely want more than one. 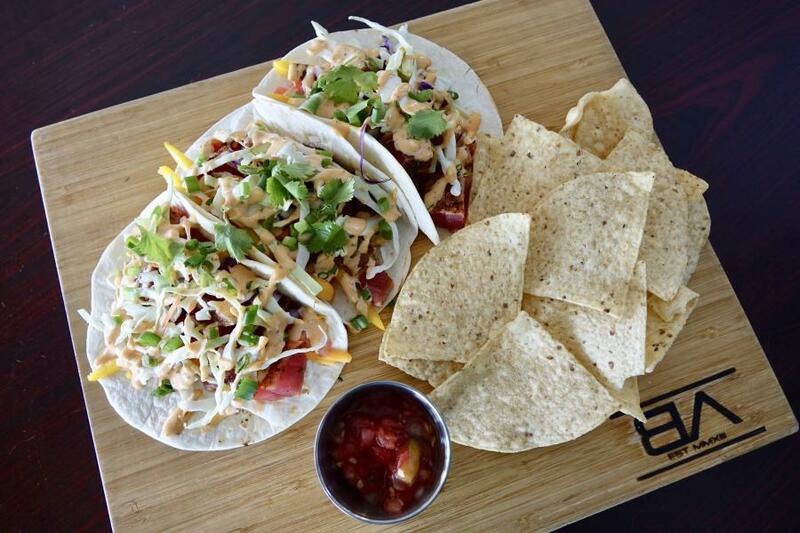 Heading toward downtown Flagler, your next spot for tacos with water views is Break-Awayz. A little bit Hawaiian and a little bit Asian, the poke tacos are packed with flavor. Sushi-grade raw tuna is marinated in sesame oil, ponzu, sesame seeds and green onions. It is then topped with Asian ginger slaw, wasabi aioli and green onions and served on three flour tortillas. Enjoy the poke tacos with a side of cold brew. The restaurant has more than 100 draft or bottled beers to choose from. Delicious seafood and a picture-perfect beachside location are a few reasons why Golden Lion Café is Palm Coast and the Flagler Beach’s most-awarded restaurant. 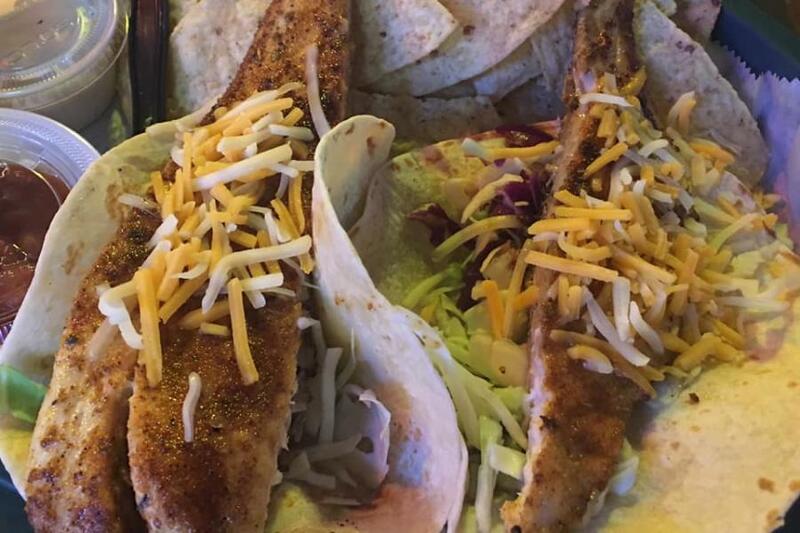 Its Fresh Catch & Coconut Shrimp Taco is always a crowd pleaser. The day’s fish is topped with coconut shrimp for a unique combination. Lettuce and shredded cheddar cheese come next, and the tacos are served with Golden Lion’s tangy Key lime tartar sauce. 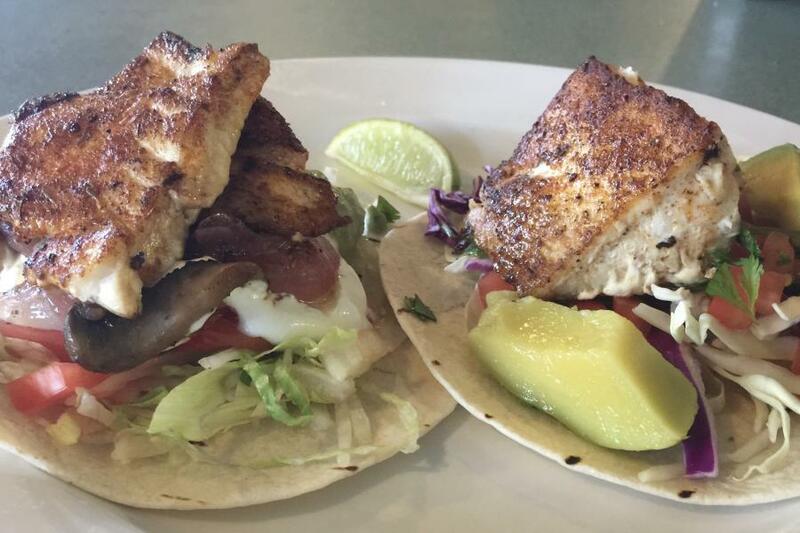 Cast a line or stroll along the iconic Flagler Beach Pier, then enjoy tacos steps away at the Funky Pelican. 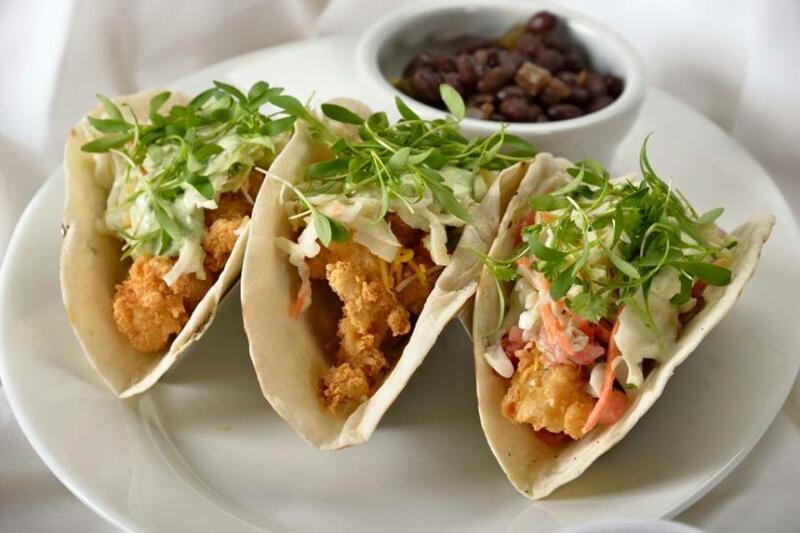 Feast on the decadently fried lobster tacos while taking in the panoramic ocean views. Juicy bites of lobster are served on warm flour tortillas with citrus slaw, pico de gallo, cheddar jack cheese and cilantro cream, with black beans and rice on the side. Cruising south on A1A you can’t miss the giant anchor that marks the next stop on the taco trail. Friendly staff, tasty seafood and a daily happy hour keep locals and visitors coming back to The Anchor. 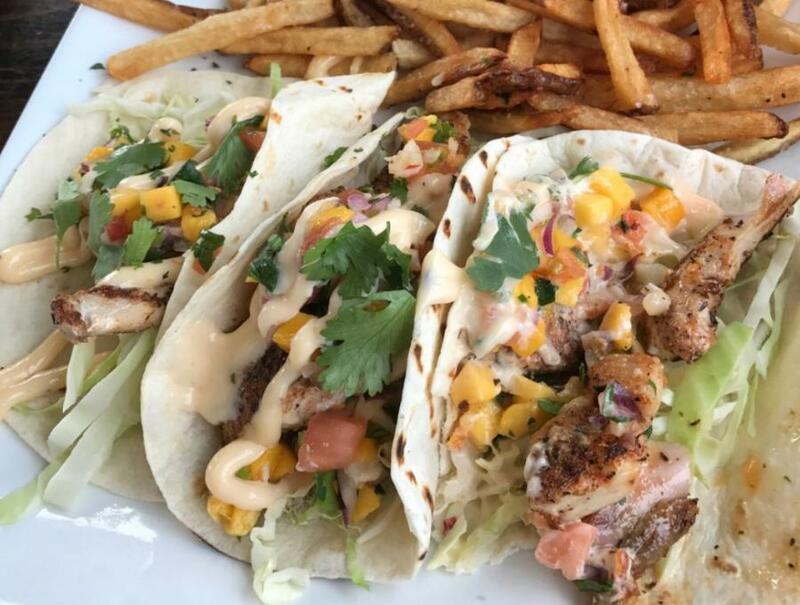 Its grilled shrimp tacos come with mango pico de gallo, shredded cabbage and citrus aioli. Order them with a side of sweet potato fries. Enjoy Floribbean cuisine, live music and a two-story outdoor patio overlooking the Atlantic Ocean at Tortugas Florida Kitchen & Bar. This is the place to go to kick your vacation into high gear. Here, locals rave about the pork and pineapple tacos. Slow roasted mojo pulled pork is topped with homemade coleslaw and pineapple salsa. They’re even better with one of Tortugas’ hand-pressed margaritas. A restored 1920s mansion brings a retro feel to the Island Grille at the Topaz Motel and Hotel. The restaurant is located near the inn’s main entrance, with large windows providing ocean views. 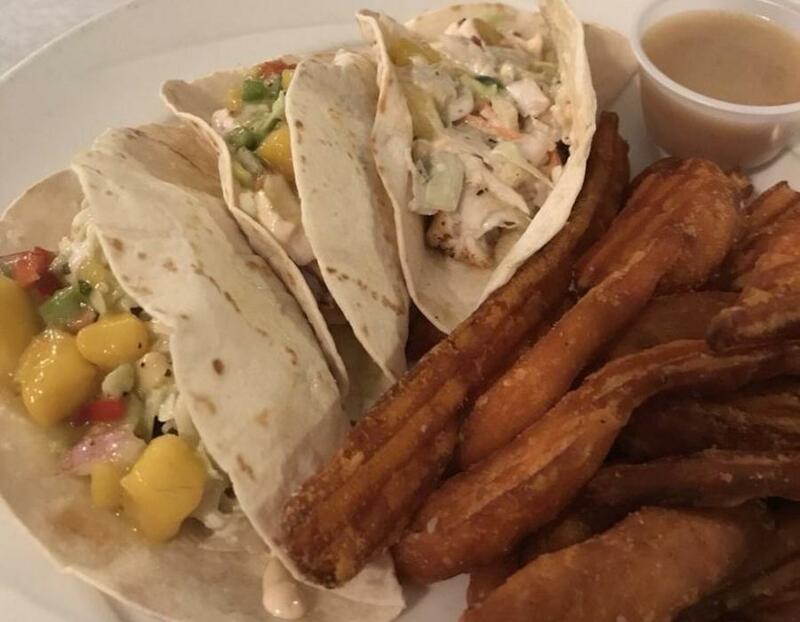 You’ll definitely want to try the swordfish tacos. The fish is marinated in garlic and lime and topped with sweet and sour slaw, mango avocado salsa and Sriracha cream, and comes with a side of black beans and rice. The laid-back feel of the Florida Keys meets Palm Coast at Key West Eats, a casual outdoor bar and eatery. 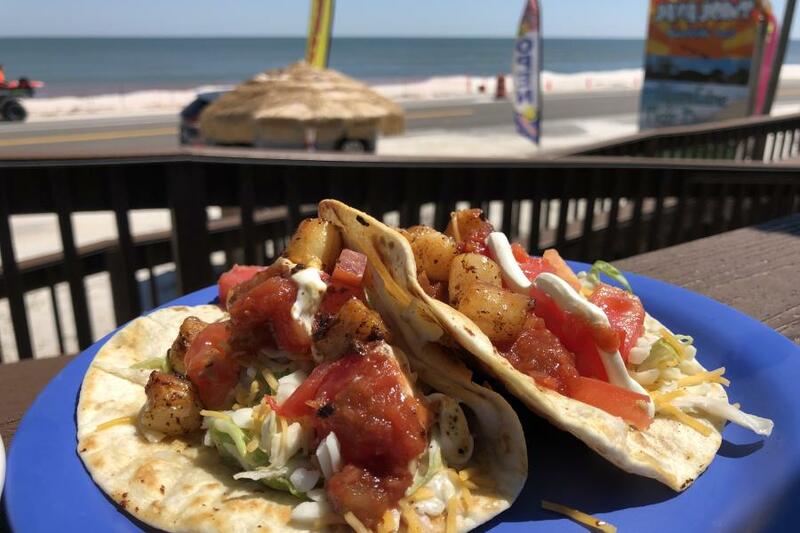 Take a seat at one of the picnic tables and order the Mayport Shrimp Tacos. They come with a generous serving of the fresh, wild-caught shrimp that’s brought in from Jacksonville. 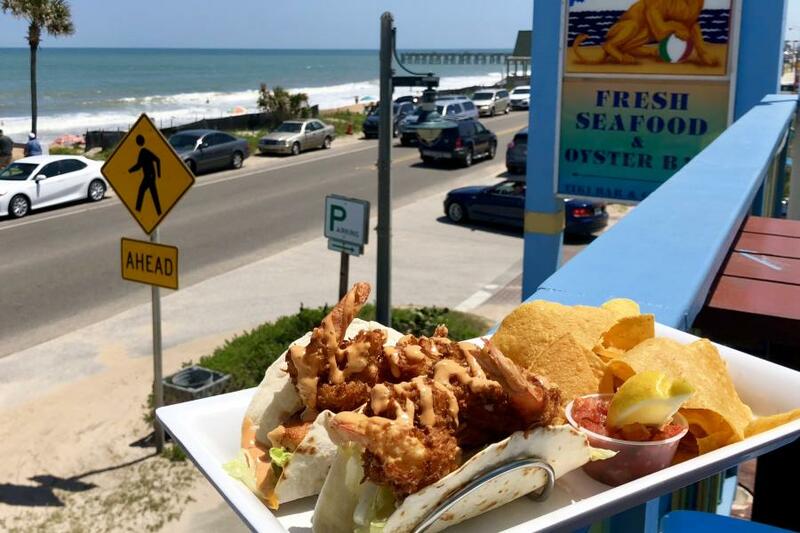 Located directly on the beach, High Tides @ Snack Jack is a touch of Old Florida in Flagler Beach. In fact, the original restaurant dates back to 1947. It’s the perfect ambiance for tacos, and the jerked tacos are superb. Fish or chicken is prepared with the flavorful Caribbean spices and served on flour or gluten-free tortillas with Snack Jack’s spicy sauce. Delicious, fresh seafood is what lures diners to Flagler Fish Company, a few blocks from the ocean. Here, two tacos duel for the title of favorite. For the North Side, a choice of the day’s catch is lightly blackened and topped with shredded cabbage, tomato, cilantro, avocado and a spicy creamy chipotle salsa. For the South Side, the blackened fish comes with grilled onions, mushrooms, lettuce, tomatoes, sour cream and an avocado herb sauce. Don’t have just one; it’s better to order both to compare! The Mexican UFO at A1A Burrito Works may not technically be a taco, but it’s too good not to include. Pick your protein, pick your heat level, and then seat at a picnic table to enjoy the delicious tacos and panoramic views of the beach. One bite of the chewy, crunchy and cheesy Mexican UFO and you’ll see why locals say it is out of this world. It’s easy to take your tacos to go, or even make your own from the area’s seafood when you stay at Si Como No Inn. 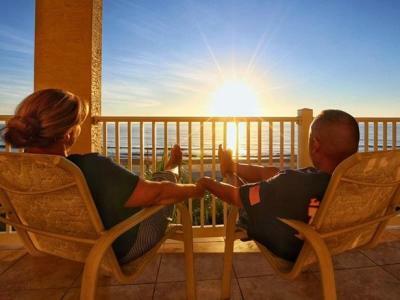 Tucked between the sea and the Intracoastal, the inn has a casual, seaside vibe complete with a tiki hut. The tiki hut is fully equipped with refrigerators and a kitchen so you can savor your meal there or wind down after a full day of fun at the beach.